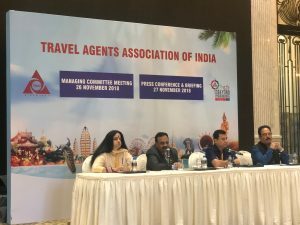 The Travel Agents Association of India (TAAI) has signed a Memorandum of Understanding (MoU) with the Yunnan Provincial Department of Tourism and Culture on the second day of the ongoing 65th TAAI Annual Convention in Kunming, China. The objective was to promote tourism between India and Yunnan. Both the regions will work towards developing a framework for cooperation, acknowledging the success which resulted in the convention being organised in Yunnan province. 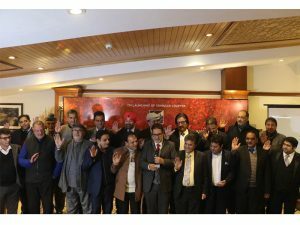 Delegates at the 65th Travel Agents Association of India’s convention and exhibition were warmly welcomed in Kunming, China. 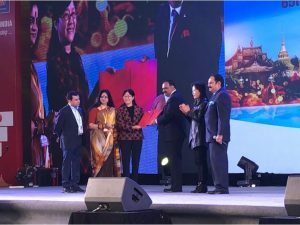 The three-day convention highlighted the theme ‘Tourism Beyond Boundaries’ and hopes to further strengthen tourism ties between India and China. Located in the Yunnan province of China, Kunming is an ideal golf destination and the TAAI Convention started with a golf tournament with players participating from both the countries. Known for popularising unknown destinations, TAAI has brought Kunming on the tourism map. The direct contribution of travel and tourism sector — which reflects the net value of output generated by hotels, airlines, travel agents, other passenger transportation services (excluding commuter services), and restaurants and leisure industries directly supported by tourists — was expected to rise 6.9 per cent YoY in 2017, suggests a FICCI-KPMG report. This accounts for 3.3 per cent of the country’s GDP, and is expected to form 3.5 per cent of it by 2027. In accordance with its GDP contribution, the sector contributes significantly to job creation. The sector directly accounts for 5.8 per cent of the total employment in India. 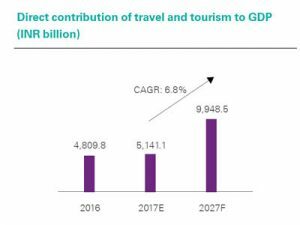 Further, the Indian travel and tourism sector is expected to have attracted capital investment of Rs 2,387.7 billion (USD35.2 billion) in 2017 — accounting for 5.7 per cent of the total national investment. In an attempt to bring all organisations and individuals engaged in the rural tourism space under one umbrella, the Association for Rural Tourism in India (ARTI) has been unveiled during the International Conference on Rural Tourism Development held at Jamia Millia Islamia in Delhi. 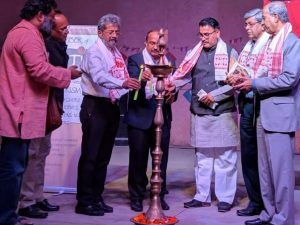 Satyajeet Rajan, Founding Member and Director General (Tourism), Government of India, launched the association amidst stalwarts and pioneers of rural tourism world over. On the occasion, Steve Borgia, Founding member and CMD, INDeco Hotels said that ARTI will unite all hoteliers, NGOs and individuals working in the space of rural tourism. “As a task long due, this association is not only meant to hand-hold the tourism initiative, but also share and sustain the efforts. 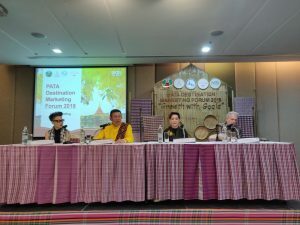 It is also now very important that we influence our governments at both the centre and the state along with NGOs to use rural tourism as a tool to mend the ailing backbone of our villages,” he said. Other founding members present at the occasion include SK Misra, Chairman, Indian Trust for Rural Heritage and Development and Former Principal Secretary to the Prime Minister of India; Sujit Banarjee, Secretary General, World Travel & Tourism Council (WTTC); MP Bezbaruah, Former Secretary, Ministry for Tourism and Honorary Permanent Representative, UNWTO; Jose Dominic ,CEO, CGH Earth Group; Supratim Raj Basu, Founder & Director, Help Tourism. 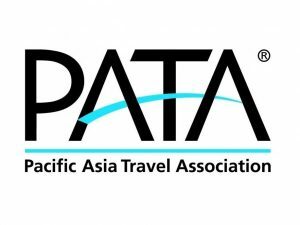 The Pacific Asia Travel Association (PATA) is set to organise PATA Travel Mart 2019 in Astana, Kazakhstan in September. The event will be hosted by the Ministry of Culture and Sports of the Republic of Kazakhstan and the Kazakh Tourism National Company JSC. 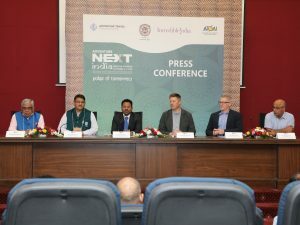 “As the destination stands at the crossroads between Asia and Europe, it is the perfect venue to organise the association’s signature travel trade exhibition in a uniquely transformational city that blends various cultures and heritages of both the East and West,” said Dr Mario Hardy, CEO, PATA. Yerlan Kozhagapanov, Vice Minister of Culture And Sport, Republic of Kazakhstan, said, “We are honoured to be the bid winner and are grateful for the opportunity to host PATA Travel Mart 2019. We are positioning Astana as a MiCE hub for Central Asia and looking forward to welcoming PATA members, hosted buyers and visitors at PATA Travel Mart 2019.” According to the World Tourism Organization (UNWTO), Kazakhstan received a total of over 7.7 million total visitors in 2017. Special discounts are available for sellers located within Central Asia, while early bird discounts are available for those registering before December 31, 2018.